Manufacturer of a wide range of products which include heat sink compound grease. Application Cell house power station, Steel plants, fertilizers sugar plants and textiles. Pack Size 1 Kg, 5 Kg & 30 Kg. 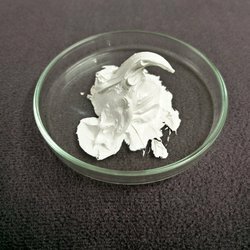 In order to meet the various increasing and changing demands of the customers, we are involved in offering the best quality of Heat Sink Compound Grease. The offered Heat Sink Compound Grease is processed by using good quality chemicals and material. The offered Heat Sink Compound Grease is extensively used to transfer heat away from electrical or electronic components and to conduct thermal energy away from sensitive components.